Two police officers were hospitalized late Monday after being attacked by a large group of people in Shuto Orizari. As the Interior Ministry informed, three people were attacked, two of whom were police officers, and it was reported that the three had dragged a female person into a van. “A girl in Shuto Orizari reportedly saw unknown persons forcefully dragging a female person into a van, but she did not know who it was. She told this to an adult man who reported it to the police. 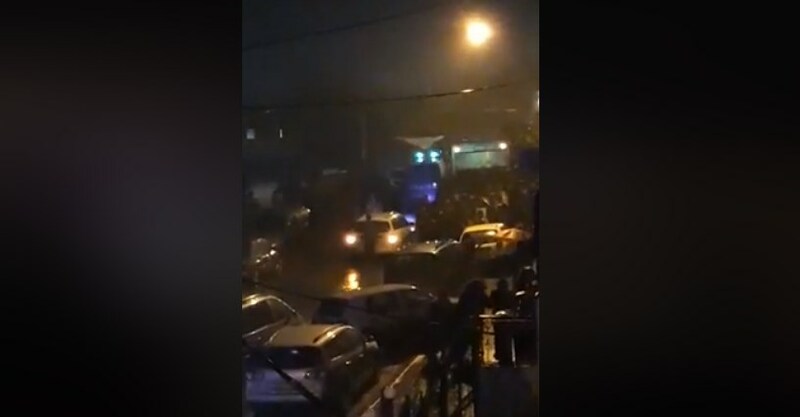 A large group of people gathered and at that moment there was a vehicle with three persons, two of them police officers from the Chair police station, who were not at work. The people gathered attacked the men in the vehicle and they were taken to the hospital for medical assistance. Up to this moment, there is no report for a missing girl from any family. Measures are being taken to clear the case”, the Interior Ministry informed. The panic in the settlement culminated on Monday night because lately there were rumors that two people are trying to steal children by car and people were constantly on alert.